Democracy is one dimension in the process of the reconstruction of Confucianism. Liang Shuming’s interpretation of democracy embodies his unique vision of rebuilding Confucianism. 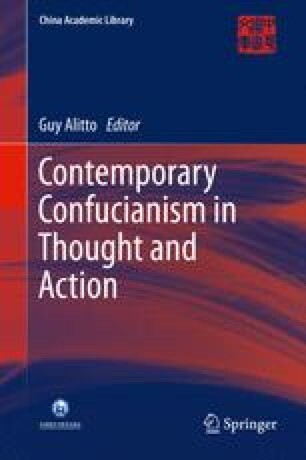 This uniqueness links to John Dewey’s philosophy of democracy and could trigger an interesting debate on Confucian democracy. There have been many studies of how Hu Shih(胡适)and Tao Xingzhi (陶行知)understood and practiced Deweyan democracy (Barry Keenan 1977; Gu Hongliang 2000; Tan Sor-hoon 2004a; Jessica Ching-sze Wang 2007). However, Liang Shuming’s view of democracy and its relation with Deweyan philosophy have more or less been neglected by academics.